You’ll have a blue Christmas with Conan! Yes that is correct, we said we would do it, and we are! Here is the first re-release of Future Boy Conan in blu-ray! This version is encoded in 1080P 10bit h264 .mkv. The audio, however is till mono. Right now, there is no plans for a 8bit version, but if there is enough of a demand for it, we will release in it. The attempt by a number of people to flee to outer space failed. But one of the spaceships narrowly escaped destruction and crash landed on a small island which had miraculously survived the devastation. The crew members of the spaceship settled there, as if they were seeds sown on the island. After years, a boy was born. He was a new life in the desert, a ray of light in the darkness of the annihilated earth… And there this story begins. Radical Moose THIS MEANS YOU!!! REMOVE OUR VIDEOS FROM YOUTUBE!!! that’s the res of the blu ray discs (w/o) the borders on the sides. Keep in mind that movies this old were made on film and essentially have unlimited resolution. It was only in the period during the early to mid 2000s preceeding HD digital animation that shows looked relatively bad. 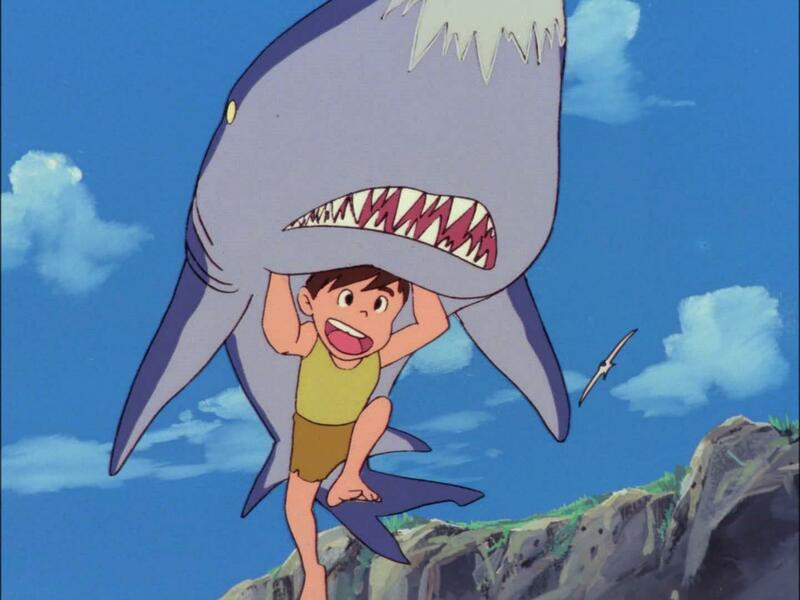 The movies made on cels could be upscaled which is why shows like Future Boy Conan look great! Ah, that’s why Yamato and Gundam looked good in HD.. although the drawing was a bit ropey in those so this looks way better. Thanks a lot for doing this in BD quality. Now, also Heidi is coming to blu-ray format in Japan for the first time on 22-Dec-2011. I hope someone would sub this pre-Ghibli Takahata/Miyazaki classic. It was my intent all along that if Conan ever came out on BD, that we would re-release it! 720p should be your 8-bit release, like a SD version to the 10-Bit 1080p IMO. Up to the group though if they release 1080p instead, this is just my 2 cents. The new restoration is fantastic, probably the best HD transfer of a TV anime of any age. I only wish the Blu-ray set had had English subtitles. I was thinking of watching this over Christmas but guess I’ll wait. Any idea on how fast you will be rolling out the 1080p versions? Well, apart from encoding, all the eps have to be retimed and QCed, so fast but not THAT fast. I was about to suggest a 720p 8-bit version, though without much hope that it would be accepted. Then I saw you were already doing it. Brilliant! Thank you so much, this is definitely a keeper. Classic rules. Thank you sooo much! Conan is great!